The marquis tent is a tent out of the baroque period from the end of the 16th till the end of the 18th century. 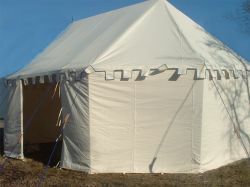 These tents were used by the authority for representation or in the army for military meetings. 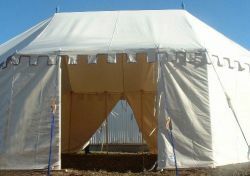 The further development of the Middle Age Round tents is available as single-master or two-master. The side walls which go straight downwards afford optimal place saturation. 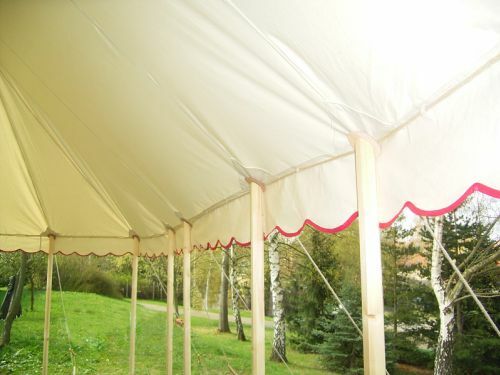 The tent can be changed into a pavilion really fast because of the removable side walls. 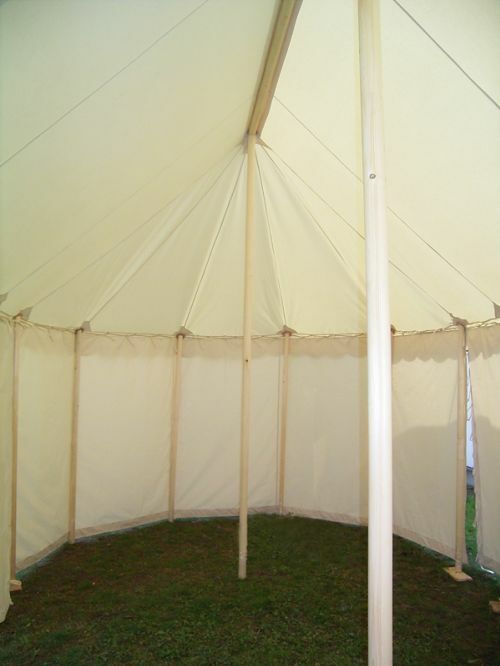 Furthermore there are different pelmet forms possible. 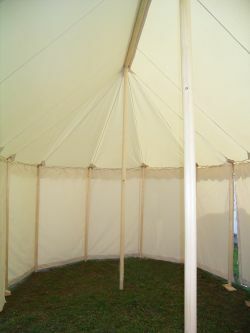 The plan view can be either a two-master octagon or a single-master quad.